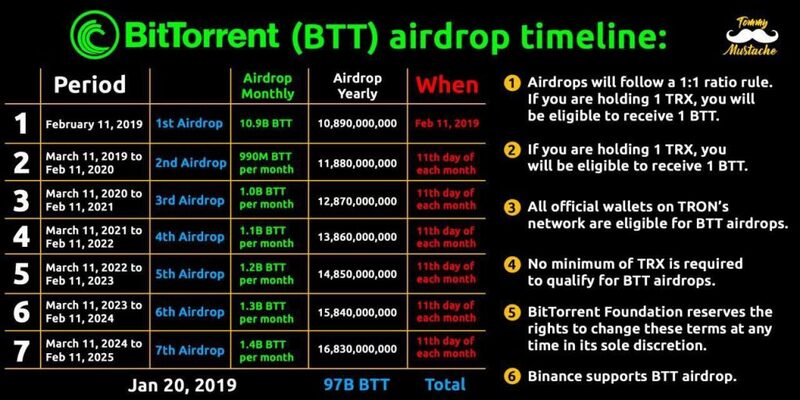 The first BTT airdrop is scheduled for February 11th, 2019, and will be followed by six more airdrops through 2025 that will reward long term TRX holders with BitTorrent tokens. The BTT token is created and runs on the Tron blockchain as a TRC-10 standard token. 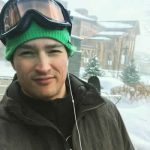 This is happening just like many notable token projects that have risen from the Ethereum blockchain. 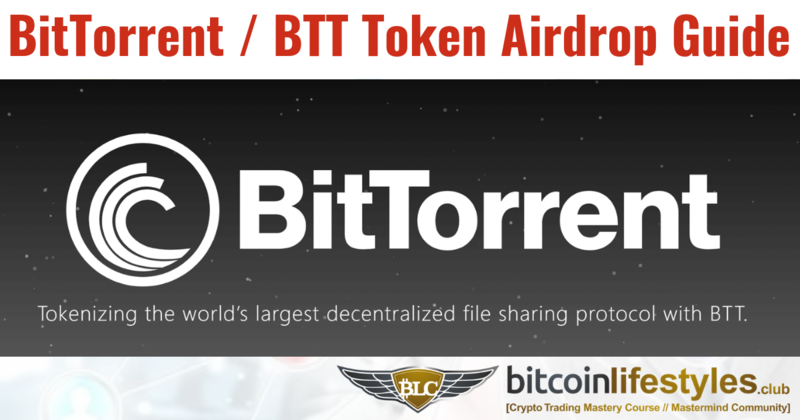 And even better yet, the BitTorrent token already has a real world use case in development, in being used to evolve the services of BitTorrent and further decentralize the internet and how content is delivered to users! Keep your eye out for my next FREE Crypto Training post coming soon, where I will teach you how to use one of Tron’s most popular Decentralized Exchanges to trade ‘Tron Tokens’ for profit. Hello my friend! It's been a minute, but I thought you'd find this article very interesting so just forwarding the info along to you. 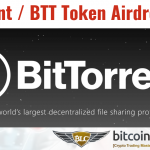 The article is called BitTorrent Airdrop Information / Guide: How To Get BTT Token by Holding Tronand is located athttps://www.meetcalebwright.com/crypto-airdrops/bittorrent-airdrop-information-guide/. Let me know what you think!